Windycrest's junior program has a long history of turning out great sailors. work has made the program such a success. of the respective divisions in the regatta. 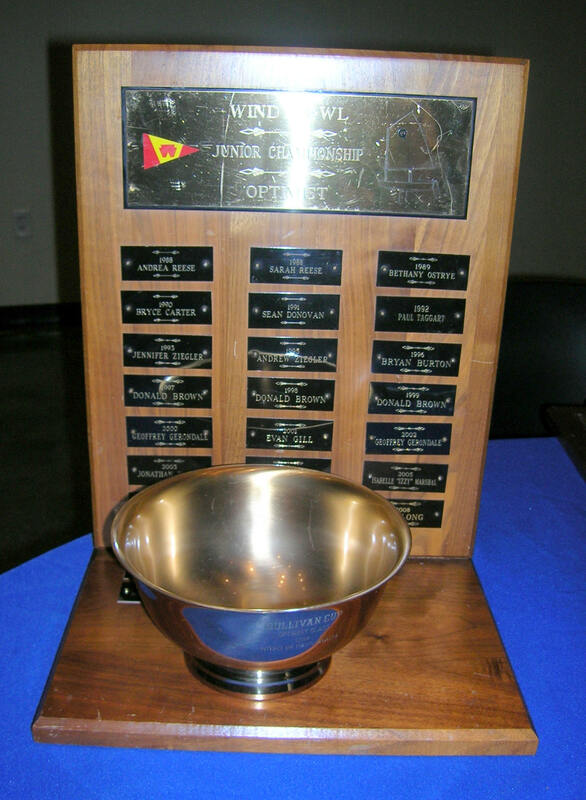 COMMODOR'S TROPHY - The Windybowl is our Club's annual championship regatta for junior sailors. 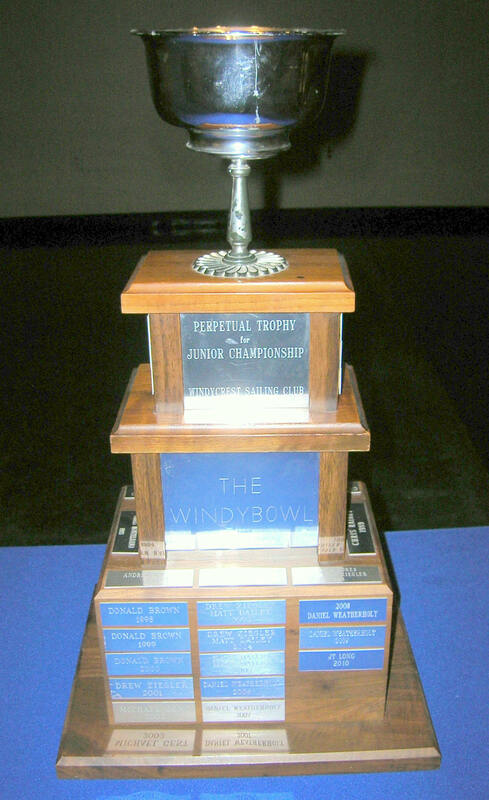 The Commodore's Trophy winner in the Windybowl is considered to be Windycrest's top junior sailor for the year. A number of our junior sailor's have gone on to sail in college programs and do well in various classes. CAPTAIN'S TROPHY - The Captain's Trophy is awarded to the top finishing "novice" sailor in the Windybowl Regatta. In most cases the winner is a younger sailor. This trophy was destroyed and is need of replacement; therefore it has not been awarded since 2010. 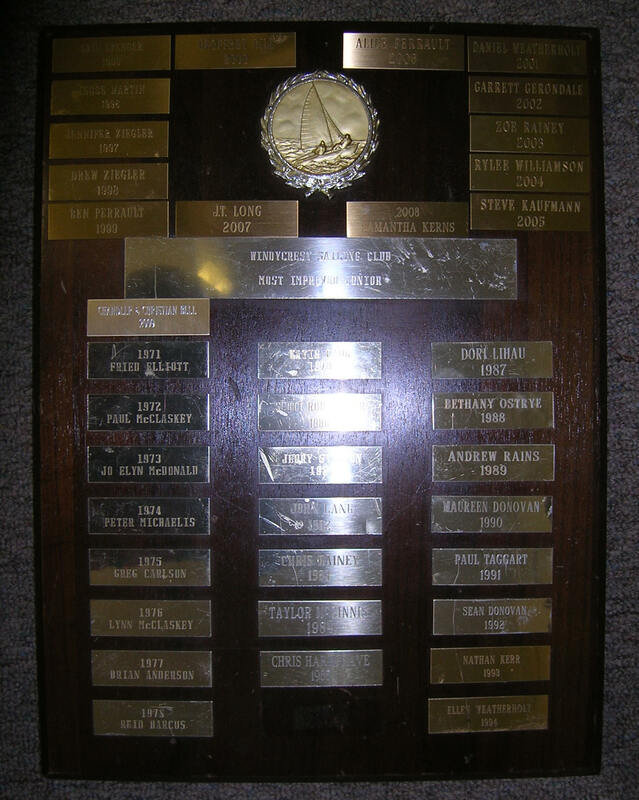 SULLIVAN TROPHY - The Optimist Dinghy class winner is awarded the Sullivan Trophy. The trophy is named in honor of Jim & Jackie Sullivan, long time Windycrest members who were big supporters of the Windycrest junior programs. Jim was WSC's commodore in 1975. RUDDER AWARD - The Rudder Award is presented to the sailor that shows the most persistence, heart, and desire to become a better sailor. They may have finished outside the trophies, but they aren't going to give up on learning, practicing, and enjoying the art of sailing. It is an awesome and unique trophy in that each winner carves their own name into the trophy. Unfortunately this trophy has been misplaced. 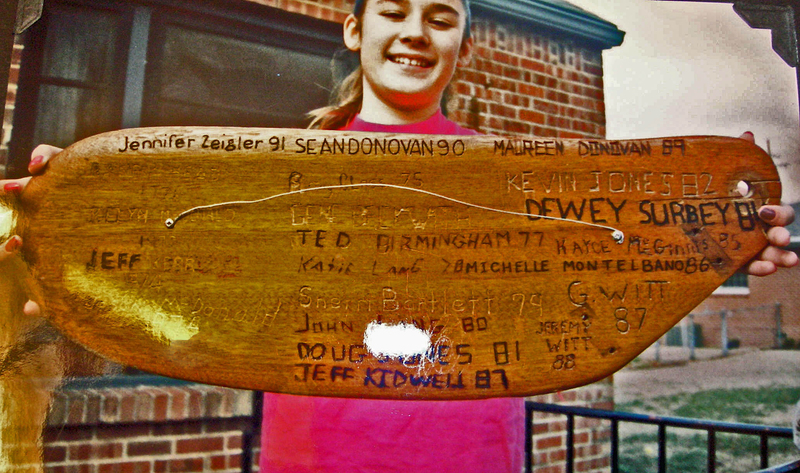 1979 - Sherri Bartell 1980 - John Lang 1981 - Doug Jones 1982 - Kevin Jones 1983 - ? MOST IMPROVED JUNIOR TROPHY - Lots of great names on this trophy. A who's who of Windycrest junior sailing over the years. Not all of them went on to become junior champions, but this trophy shows our Club's juniors dedication to becoming better sailors. 2011 - Lauren Baggett 2012 - Levi Cole 2013 - Mataya Woodward 2014 - Mike Musser 2015 - ? LEADERSHIP AWARD - Awarded to the junior who demonstrated the most leadership to their fellow sailors. 2005 - ? 2006 - Matt Dailey 2007 - ? 2008 - Daniel Weatherholt 2009 - ? OTHER AWARDS From time to time an exceptional junior will travel to an away regatta and sweep the competition. Such is the case as we are listing here. One Time Trophies for 2015 - Awarded to individual juniors for outstanding performance on specific boat types.